We’ve given our thoughts on the big changes to come in the Taken King, including Dinklage’s departure and North being brought on board to re-record Ghost’s dialogue, and the controversial farewell song to our old Legendaries from Year 1. As we perused the Gameinformer Cover Story available to paid-subscribers only, we discovered a wealth of new quality of life improvements, in addition to the most in-depth look at The Taken King that we’ve seen thus far. This article will be your quick and dirty, all-in-one look (in no particular order) into what GameInformer got to see. The RNG algorithm has been re-tooled to be smarter, rewarding you more frequently with items you could use, and attempting to avoid giving you those you already have. Metroid Prime style opt-in lore, press a button to bring up info on something in real time. Vanguard vendors have quests unlocked at certain points of progression. Tiers (thresholds) for Intellect/Discipline/Strength that tell in seconds what your cooldown is, rather than a percentage that you have to find out. Gunsmith has reputation meter that can be leveled by testing out common prototypes in the field. These test weapons have a “built-in challenge” like killing Hive on the Dreadnaught, or using a sniper rifle to get headshots in the Crucible. Check out as many as you want at a time. Hit a certain rep level with the Gunsmith, and he’ll open up Armsday purchases. Pay glimmer to order a new Legendary weapon, and Wednesday that weapon arrives with a random set of perks. Legendary marks replace “Crucible” and “Vanguard” marks. “Armor Materials” replace Hadronic Essence, Sapphire Wire, Plasteel Plating. No longer have to wear class items to gain reputation. Instead you “pledge allegiance” to gain rep for a faction, one at a time. Turn in unwanted materials for reputation. No more Emblem/Shaders taking up precious Vault space! Shader console & Emblem console in the Tower, housing all of the Emblems & Shaders you own. You can change the displayed weapon in the Tower. Over a dozen new Exotic weapons. Half a dozen new armor pieces for each class. Auto Rifle that shoots bolts of chain lightning, Sniper rifle blinds enemies on precision hit. “No Time To Explain” is an Exotic version of the Stranger’s Rifle, sort of. 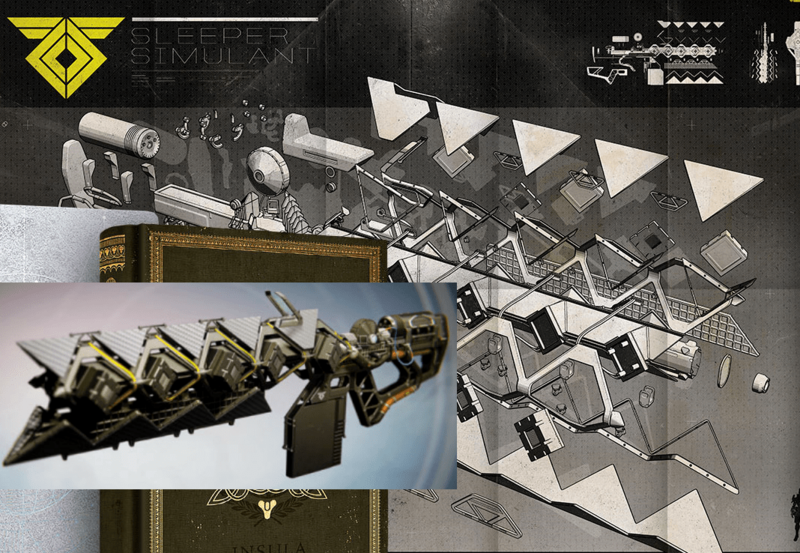 Sleeper Simulant is a Heavy Fusion Rifle that charges an over-penetration laser through enemy targets and bounces off walls. An Exotic gained through multi-step search quest on the Dreadnaught; pieces are hidden all over. All Exotic unique namesake perks are immediately unlocked. Expanded Crucible: 8 new maps and 3 new modes. The modes are Mayhem, Rift, & Zone Control – only controlling matters, kills don’t. Quests to ease new players in. 5 weekly bounties in addition to much faster daily bounties. Finish all 5 weekly bounties to unlock a big bad bounty where you have a chance at a powerful reward like a Legendary/Exotic weapon. Better matchmaking for skill and connection. Narrative-driven story with 8+ lengthy missions, seamlessly integrated with strikes, public events, class quests, and eventually, the raid – King’s Fall. Complete the main storyline for access to the ancillary “The Taken War”, with harder, narrative-driven missions that have us revisiting old locales like the Vault of Glass. Four new strikes (three for non PS users), plus three remixed older strikes. Presence of several “raid-like” mechanics to keep things mentally engaging. Strikes aim for replayability, cycling species you might fight, & altering enemy configurations. Multiple narrations to provide more info as you replay the strike. Taken Captains: Solar shields, throw out slow moving balls of darkness that blind Guardians. Taken Knights: AoE Scorch attack that dissuades close combat. Taken Centurions: Possess deadly tracking shots that can aggressively seek around corners. Taken Wizards: Can summon “shadow thralls” for a zerg-like rush. Eliminate them fast or risk being overwhelmed. Taken Psions: Have the ability to multiply if they are not quickly dispatched. 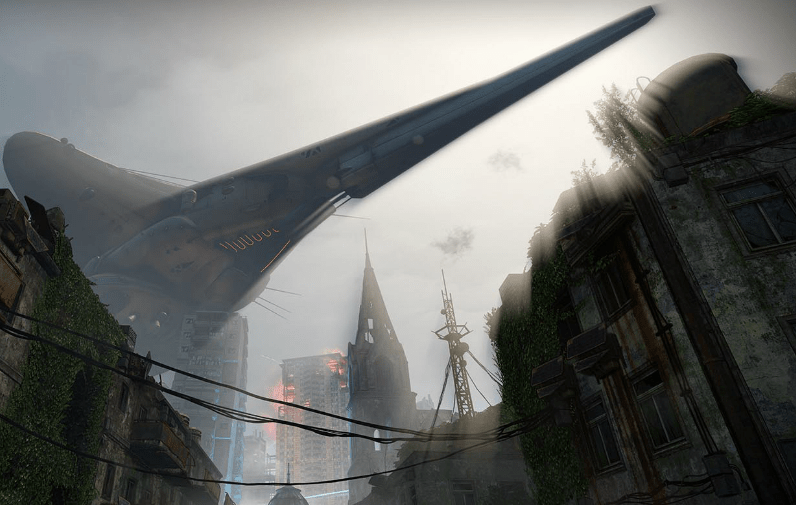 Taken Vandals: Deploy a Defender Titan-like Shield, that restores their health and is permeable to their fire alone. Taken Phalanxes: Have an impulse blast that applies a physics impetus, much like their notorious shields. Taken Thralls: Can teleport short distances to frustrate attempts to pick them off easily. We’ll continue to update this article with refinements and any pertinent information that we come across today. 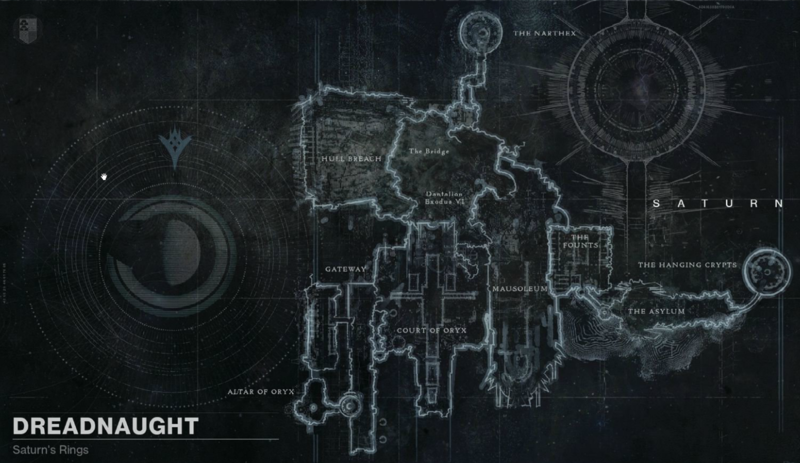 For the most part, this outlines what you need to know about The Taken King as we move into the home stretch before it launches. We’re personally over the moon about almost every one of these changes. 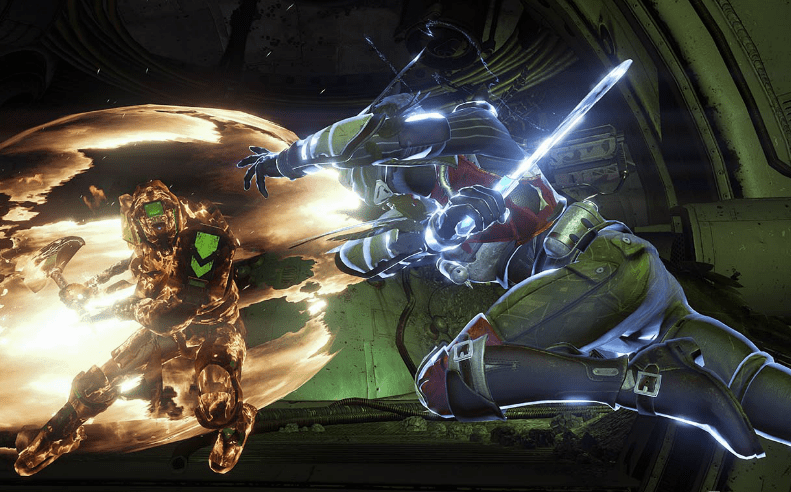 Much of the tedium is being condensed and refined, and while Vault Space is still a nuisance, Emblems and Shaders need not be a part of the struggle any longer. It will be interesting to see if it is even possible to maintain the vast collection of Weapons and Armor we’ve held on to since TDB and earlier, but it’s safe to say we haven’t heard the last from Bungie on the issue. Keep an eye on PlanetDestiny for answers to all of your Taken King questions, we’ll do our best to keep you in-the-know. Be sure to also let us know what change or update you’re anticipating the most!